First of all, let us understand that a “Spiritual House” (1 Pet. 2:4-5) necessitates “spiritual men” (Rom. 8:5-14, 1 Cor. 2:11-16, Gal. 6:1), a “Heavenly” House (Heb. 8:1-5, 9:11, 23-24, 10:1) necessitates “heavenly” men (Heb. 3:1, 6:4, Php. 3:20), so also in the very same way, a man cannot serve in the House of God unless he becomes the House (Heb. 3:6, 1 Cor. 3:9, 16, 6:19-20, 1 Pet. 2:4-5, Eph. 2:19-22). Surely, this is the expressed meaning of 1 Corinthians 3:17. Even so, Paul and Peter have more to say on the subject. 1. The people are elect for honorable, glorious, and everlasting purposes. This means that the honor and glory of these persons is everlasting like as gold, silver, and precious stones out-last and abide through the furnace of fire. The honor and glory of these persons cannot be destroyed like the glory and honor of wood, hay, stubble, and earth is annihilated by fire. When casting a heap of objects into the furnace, look for what out-lasts the destructive flames – these objects are precious! By such a burning you may renew the brilliant image of such objects, and thus refine them into a purer expression of what was always there, but the essence of what was honorable was not reduced. The essence of what is honorable about these objects is unalterable, unchangeable, and indestructible, and when put to the flames it is refined and purified, but never reduced! 2. These honorable and glorious purposes are manifest by the indwelling of an honorable and glorious PERSON – Jesus Christ. What is honorable, glorious, and everlasting about these men is, the Person who possess them. 3. This indwelling Person is, in essence, “incorruption”, “glory”, “power”, “spiritual”, and “heavenly”. He is all the qualities which are characteristic of the undying, imperishable, God-made Kingdom which shall be established at the consummation of all things. In this way, the Kingdom of Heaven within men right now is exactly like the worldwide Kingdom of Heaven which is to come. The consummation of the Kingdom of God is when the incorruptible, glorious, powerful, spiritual, and heavenly essence which has indwelt the saints does, in the same way, transform, reform, and fill all the world with Itself. Therefore, by taking note of what objects are used to build the Kingdom of God in its consummated estate, we can understand that such objects are, both then and now, the metaphorical essence of what is indestructible, unchanging, and everlasting. 4. The gold, silver, and precious stones which we see on earth right now – “which Temple ye are” (1 Cor. 3:17) – do foreshadow the undying, imperishable, other-worldly, and heavenly gold, silver, and precious stones which will be used to build the everlasting Jerusalem which is to come. 5. When the Kingdom of God which is upon the earth does not represent the consummation of all things which exists in heaven, the Lord baptizes the people of God with fire. When that which is, by essence, “incorruption”, “glory”, “power”, “spiritual”, and “heavenly” (gold, silver, and precious stones), and yet it is becoming corrupt, profane, overpowered, spiritually defeated, and earthly, this is when the stones of the Temple of God are being defiled from their first beginning – and that defilement is by the vile body of death which still exists, which is yet without redemption, thus the man’s essence (the old man) should be violently and mercilessly killed every day (Rom. 8:13)! The everyday duty of saints to mortify their bodies is, just like, the everyday duty for Priests to make sure the Temple of God is built with and compacted by objects that are biblically acceptable – namely, that it is purged from the defilements of the earth such as wood, hay, stubble, and earthly-objects. The purging of these objects from the Temple is a purging of our earthly members from ourselves, individually speaking (Col. 3:5, Rom. 8:13, Gal. 5:24), and it is a purging of our earthly members from our corporate-self which is the Church – the body of Christ – for we are one man, one body, one Building, and one Temple in the Lord (Matt. 18:1-20, 1 Cor. 3:17, 2 Tim. 2:19-22, 1 Cor. 10:7, 12:12, Rom. 12:5, Eph. 1:23, 2:15, 3:6, 4:12-13, Col. 2:19, 3:15). 6. What is done worldwide in the Last Days is a consummating fulfillment of what is done to the Church all throughout their days (this is God’s end-time judgment and beginning judgment). In the end, God will shake everything that can be shaken so that, only those objects that are sustained by unshakable powers do remain. In the end, God will burn heaven and earth with smelting and destroying fires (2 Thess. 1:6-10, 2 Pet. 3:4-14) …but for the Church which exists right now, this is done all throughout their days - God baptizes and burns them, and He immerses them in judgments of fire so that, only those objects which abide the fire do remain as stones of the Temple of God. As we have seen in the Old Testament, formerly addressed, there was a steep and exasperating Code of the Priesthood, without which no man could stand before God and LIVE. With exasperating meticulousness, the Priests were ceremonially prepared and selected, and in peculiar garments they were gloriously arrayed. Parallel and synonymous to this, but in another branch of biblical typology, the materials of the House of God were valuable, costly, laboriously obtained, brilliantly manufactured, and awesome to behold. The heathen world did hold their breath when hearing of it. The materials used, like the garments of the Priests, were gloriously arrayed! For example, the “vessels for the House of the LORD”, whether “to minister” or “to offer”, were “vessels of gold and silver” (2 Chron. 24:14). Such vessels as these, men take pleasure in. Their great cost, illuminating colors, imperishable qualities, and all-around beauty grips their mind with human-adoration. Similar to this, and yet with vast differences, the inspired writers wrote: “Thy servants take pleasure in her stones, and favour the dust thereof” (Ps. 102:14). In context, the inspired text brings in view an exemplary “pleasure” and “favour” found in the people of God, but this pleasure was NOT an enjoyment in the gold, silver, and precious stones for the sake of the objects themselves. No, my reader. It was not so much the object that they favored but the sanctifying power of God’s presence which hallowed the object, is what they favored. This glorious, uncreated, incomprehensible, invaluable, imperishable Presence – God’s presence! – this is what sanctified the objects and materials of the Temple; for this reason, the “stones” and “dust” were sacred and invaluable (see Matt. 23:16-17)! In Psalm 102:14, God is not speaking about, concerned with, and carried away with human-like emotion over these carnal things, is He? God, who inhabits the lofty and indiscoverable regions of heaven’s indestructible beauty, is not impressed and enthusiastic over earthly objects… not even the objects which are notable to humanity because of money, color, indestructible quality, and beauty. With certainty, God does not care for these things. For what purpose was Psalm 102:14 written? My reader, for the same reason that God wrote about oxen! Do you remember how the inspired apostle wrote, “Doth God take care for oxen” (1 Cor. 9:9)? Even so it can be said, “Doth God care for gold, silver, and precious stones?” “Or saith He it altogether for our sakes? For our sakes, no doubt, this is written” (1 Cor. 9:10). Yes, my reader, for our sakes; that we might learn His heart toward His people, the persons he calls His sons and daughters. God has chosen them - His people - as a builder chooses select and precious stones to build with, but my reader this building is “GOD’S Building” (1 Cor. 3:9)! God is, with them, building an invaluable, beautifully unfathomable, everlastingly imperishable House for Himself! When God speaks of His choice and redeemed people, my reader, He uses choice words. Words like, “The precious sons of Zion, comparable to fine gold” (Lam. 4:2)! God expresses His affection in terms which are humanly understandable. The meaning is clear, God thinks of them with precious thoughts, values them as precious objects, and fashions them for Divinely significant purposes – and what greater purpose is there but that we, fallen humanity, might be a Habitation for His Presence (Eph. 2:22)!? To men, gold, silver, and precious stones are objects fit for holy, honorable, and dignified purposes, and in the very same way God has chosen a people who are to God, “as gold and silver” (Mal. 3:3). With the same meaning it is written in another place that, each person of the chosen people of God are, individually, a “vessel unto honour” (Rom. 9:21). This means that, shockingly, God created these people for purposes of honor. Like as a Potter forms a vessel of clay for a preplanned purpose, God created humans for honor…a predestined honor. Yes, my reader, they were predestined to the honor of becoming His redeemed people. According to God, these vessels of honor are created so that He might shower upon them “the riches of His glory”. This is so that the heathen, looking on, might be amazed at their honor. The people of God do, literally, represent God’s honor. The honor poured out upon these vessels is undeserved, therefore as much as they are vessels of honor, they are “vessels of mercy”. Therefore what the world beholds is, the honor of blood-bought mercy! These people exist so that “He might make known the riches of His glory on the vessels of mercy” (Rom. 9:23)! Staggeringly, He prepared them for this glory (Rom. 9:23)! “To them who by patient continuance in well doing seek for glory and honour and immortality, and eternal life” (Rom. 2:7). 2. These honorable and glorious purposes are manifest by the indwelling of an honorable and glorious PERSON – Jesus Christ. What is honorable, glorious, and everlasting about these men is the Person who possesses them. When God chooses a human being for this predestinated course of existence, the course of the man’s depravity is interrupted by irresistible grace. 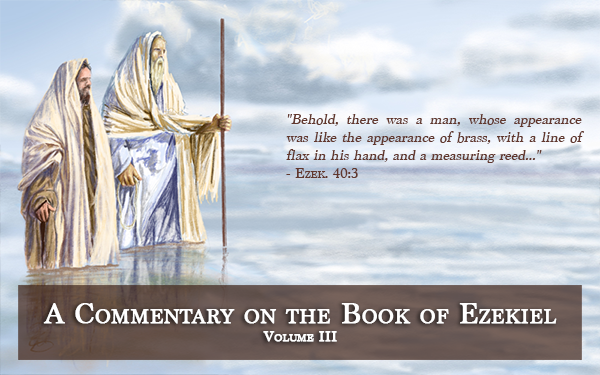 This irresistible grace seizes the God-hating man… and, behold, he is a God-loving man! God’s choice of this human is, in this way, witnessed by all who watched on. Suddenly the man was subdued by God with a converting, transforming, translating, and regenerating GRACE, praise the Lord! And this is a grace that the onlookers cannot deny! As men watched on they saw “old things are passed away; BEHOLD, all things are become new” (2 Cor. 5:17)! The man who groped in the blindness of darkness was illuminated with light and brightness! The Breath of God Almighty did blow upon the man who was by nature, foul and odious, as a dead body is worm-eaten and rotten, and LOOK! 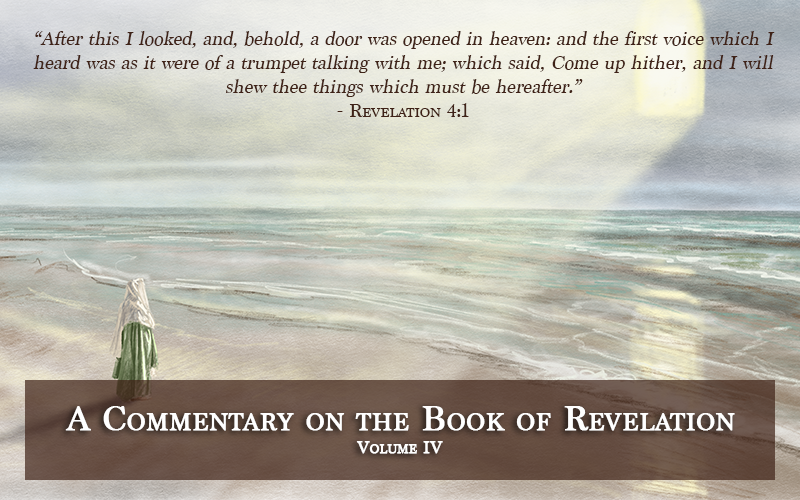 Look how suddenly the dead man arose, went forth, and followed the Lamb! This man, gloriously changed, has a heaven-created “new man” (Col. 3:10), and yet his physical body has remained the same. The man does indeed have “newness of life” (Rom. 6:4), but this life came through the reformation of his “inner man” by the indwelling of Christ (Eph. 3:16-17). Therefore what is honorable, glorious, and everlasting about these men is the Person who possess them. The “outward man” or “the body”, still unchanged, contains the same spiritual qualities as the formerly depraved and God-hating man, therefore the redeemed people of the Lord contain the coexistence of a natural/carnal/earthly man and a spiritual/holy/heavenly man (Rom. 8:5-10, 1 Cor. 2:14-16), and “though our outward man perish, yet the inward man is renewed day by day” (2 Cor. 4:16). Do you see what this means? As the days pass, the outward man is perishing…yea, because it is a perishable man. But look, the spiritual man is an everlasting man! The inward man is not like the outward man, the text states – look at him! – the days pass by and the inward man is not increasingly dying, but on the contrary he is increasingly living! The outward man is our carnal and natural body, and it, left unchanged by the operation of conversion, is still called a “vile body” of “death” (Php. 3:21, Rom. 7:24). It is called an “earthly house” and “tabernacle” which is destined to be “dissolved”, but the resurrected body is called a “glorious body”, “a building of God, an house, not made with hands, eternal in the heavens” (2 Cor. 5:1). The resurrection of the inner man is a foretaste of the resurrection of the whole man. We have a foretaste of what it will be like when “mortality” is “swallowed up of Life” at the final and glorious resurrection of our physical bodies, namely because, our inward man has already been resurrected by these eternal, all-glorious, and life-giving powers! Oh my reader, hear the cry of redeemed humanity! We desire that the operation of salvation which performed our inward regeneration, would break forth into outward and earth-wide regeneration. We desire that the regenerating powers would expand beyond the confinements of our mortal bodies, and thus regenerate the world. This is when the seed of salvation breaks forth from the confinements of its outer-body and springs forth into LIFE – and this seed is Christ (see 1 Cor. 15:35-50). Within us, my reader, therein dwells Christ. Like a seed sown into the earth, Christ was purposefully put within us. This implantation was so that He might beak forth from our earthly-bodies and dominate the world with Himself! Even so, the seed that is planted into the earth does break forth from its outer-body and spring forth from the earth! Therefore it is written that our “natural body” – the body which confines the Kingdom of God within us – is called a body of “corruption”, “dishonour”, “weakness”, simply because it is “earthy”, and it will be shed like a seed sheds its outer-body (1 Cor. 15:35-50). The regenerated inner man, which is the life of the seed, will “change our vile body” “that it may be fashioned like unto [Christ’s] glorious body” (Php. 3:21), when it indeed breaks forth. This is the power of the resurrection which, at first, began within us in the inner man, and then by the very same powers it transforms the outward man. This transformed outward man has the same qualities of everlasting power which were the essence of the regenerated inner man, thus they both are, to God, “incorruption”, “glory”, “power”, “spiritual”, and “heavenly” (1 Cor. 15:42-50). The Spirit of God which indwelt the man – for the purpose of changing the inner man – does then transform the outward man by giving him “a spiritual body” instead of “a natural body” (1 Cor. 15:44). Therefore it is written, “flesh and blood cannot inherit the Kingdom of God; neither do corruption inherit incorruption” (1 Cor. 15:50). The power which formed this “new man” inside of fallen men is, by God’s definition, of imperishable and undying quality. The scripture states, we are “born again” “not of corruptible seed, but of incorruptible, by the word of God, which liveth and abideth for ever. For all flesh is as grass, and all the glory of man as the flower of grass. The grass withereth, and the flower thereof falleth away: But the word of the Lord endureth for ever. And this is the word which by the gospel is preached unto you” (1 Peter. 1:23-25). Seeing this, that the word by which we are born again is imperishable and enduring, so also, my reader, our love for God and one another should be imperishable and enduring (see 1 Peter 1:22 in context with 23-25). God would have us, “through the Spirit”, “mortify the deeds of the body” – and in this way God says, “ye shall live” (Rom. 8:13). “Ye shall live”, God said, because the everlasting man wrestled, overcame, and defeated the perishable man! In other words, the spiritual man killed the carnal man! We exist as Christians because “we live in the Spirit”, and by this Spirit we are commanded to run, wrestle, and fight – and in so doing we “walk in the Spirit” (Gal. 5:25) – but this walk exists because we have overcome and defeated the forces against which we run, wrestle, and fight. You see, my reader, we were sometimes carnal, earthly, fleshly, and natural men in body and nature, but after conversion we are spiritual, heavenly, holy, honorable, and empowered men in nature, therefore we have no excuse if we continue to “fulfil the lust of the flesh” (Gal. 5:16). Synonymously but with different metaphors, it was written, “For ye were sometimes darkness, but now are ye light in the Lord: walk as children of Light” (Eph. 5:8). The Image of the Person who has become our inward man, He must also become the Image the world sees in our outward man (Rom. 2:4-11, 8:2-4, 29, 13:8, Jas. 1:22-25, 2:20-26) – in fulfillment of this, Christ, who is in us, controls our words, thoughts, and deeds (1 Jn. 2:5-6, 4:17) – this means that through saving faith, Christ in us overpowers, dominates, rules over, and kills the carnal body, whose nature and essence is against God and resistant to His purposes (Rom. 8:5-13, 1 Cor. 9:27). 5. When the Kingdom of God which is upon the earth does not represent the consummation of all things which exist in heaven, the Lord baptizes the people of God with fire. When that which is, by essence, “incorruption”, “glory”, “power”, “spiritual”, and “heavenly” (gold, silver, and precious stones), and yet it is becoming corrupt, profane, overpowered, spiritually defeated, and earthly, this is when the stones of the Temple of God are being defiled from their first beginning – and that defilement is by the vile body of death which still exists, which is yet without redemption, thus the man’s essence (the old man) should be violently and mercilessly killed every day (Rom. 8:13)! The everyday duty of saints to mortify their bodies is, just like, the everyday duty for Priests to make sure the Temple of God is built with and compacted by objects that are biblically acceptable – namely, that it is purged from the defilements of the earth such as wood, hay, stubble, and earthly-objects. The purging of these objects from the Temple is a purging of our earthly members from ourselves, individually speaking (Col. 3:5, Rom. 8:13, Gal. 5:24), and it is a purging of our earthly members from our corporate-self which is the Church – the body of Christ – for we are one man, one body, one Building, and one Temple in the Lord (Matt. 18:1-20, 1 Cor. 3:17, 2 Tim. 2:19-22, 1 Cor. 10:7, 12:12, Rom. 12:5, Eph. 1:23, 2:15, 3:6, 4:12-13, Col. 2:19, 3:15). If in the process of our predestinated course we lose saving faith, the gloriousness of God’s grace which once overpowered and killed the flesh is lost. The man that once lived for God, he is overpowered by the outward man until he, like all others, does “live after the flesh” (Rom. 8:13). This means certain death: “Ye shall die” (Rom. 8:13), God said. The man who was once “in Christ”, it mattered how he lived his life! “There is therefore now no condemnation to them which are in Christ Jesus, who walk not after the flesh but after the Spirit” (Rom. 8:1). My reader, how do you walk? If in the process of time, “the flesh lusteth against the Spirit, and the Spirit against the flesh: and these are contrary the one to the other: so that ye cannot do the things that ye would” (Gal. 5:17), then YOU, my reader, are in a wrestling match for your very eternal life (Rom. 6:14-23)! My reader, hear me – “faith!” – it “is the victory that overcometh the world” (1 John 5:4) – but woe to the man whose faith is weakened from its first beginning! The first beginning of faith is like the first implantation of Christ – the seed is “grounded and settled” – but like an overcome and wrestled-down man, the implantation of God is ungrounded, unsettled, and “moved away”, meaning that, shockingly… saving faith is lost (Col. 1:23, Jude 12)! Woe to the man, for he is in “captivity” to the nature of the flesh (Rom. 7:23, 2 Tim. 2:26). He needs a deliverance, he needs liberty, back into the freedom for which Christ had “made [him] free” (Rom. 8:2, John 8:31-36). Let the reader understand: the certain experience of gospel-freedom and overcoming victory is that the redeemed man does not “walk after the flesh, but after the Spirit” (Rom. 8:1) – this is eternal life (John 16:33, 17:2, 1 Jn. 2:4). 6. What is done worldwide in the Last Days is a consummating fulfillment of what is done to the Church all throughout their days (this is God’s end-time judgment and beginning judgment). In the end, God will shake everything that can be shaken so that, only those objects that are sustained by unshakable powers do remain. In the end, God will burn heaven and earth with smelting and destroying fires (2 Thess. 1:6-10, 2 Pet. 3:4-14) …but for the Church which exists right now, this is done all throughout their days - God baptizes and burns them, He immerses them in judgments of fire so that, only those objects which abide the fire do remain as stones of the Temple of God. You see, my reader, Christians are able to deny the life, will, work, and way of the everlasting man, choosing rather to live, desire, work for, and walk in the carnal and perishing man. This is a denial of the everlasting, other-worldly, heavenly, glorious, honorable, and incorruptible powers of the Spirit of God (Rom. 1:16, Titus 1:16, John 17:21-23, 1 Cor. 15:35-50), and it is a contradictory choice of union with the unholy spirit of the devil (Eph. 2:2-3, 5:3-8, Jas. 4:4-8) – therefore these people do join Lucifer’s parade of rebellion against God for the luster of temporary rewards (Lk. 6:24, 16:25, Matt. 6:2, 5, 16), enjoying the passing pleasures of sin though they be but a season (Heb. 11:25), expending their life and strength though it be but a vapor (Jas. 4:14), living for and loving the world and its lusts though they are doomed to pass away (1 Jn. 2:15-17, Matt. 7:21-17, 1 Pet. 1:24-25). This is a building again of those things which were destroyed (Gal. 2:17-18), it is a building of things which can be destroyed (wood, hay, stubble, and earth; see 1 Cor. 3:12-15)! Therefore, alas, the man who was, at the former time, HOLY unto God in spirit, soul, and body (1 Thess. 5:23), the man who was clothed and regenerated with the essence of what is everlasting (1 Jn. 5:11-12), is now altogether ONE with the visible and invisible essence of everything that is without endurance and dying; the things which are corruptible, natural, earthly, dishonoring, weak, vile, and perishing (1 Cor. 15:35-50, Rev. 20:10, 12-15, 21:1, 8)! Oh that the man would, rather, despise this world and look for the next (Heb. 11:13-16, 13:13-14)! “Set your affection on things above”, my reader, “not on things on the earth” (Col. 3:2). All of creation is destined for one, unavoidable END. The prophet foresaw it, the time when “the first heaven and the first earth were passed away” (Rev. 21:1). My reader, will you hear him speak more? Do you know what happens after this great passing away! “I John saw the Holy City, New Jerusalem, coming down out from God out of heaven, prepared as a Bride adorned for her Husband” (Rev. 21:2)! This is the everlasting City which is full of the “glory of God”, my reader, “like unto a stone most precious, even like a jasper stone, clear as crystal”, like “jasper”, “pure gold”, “precious stones”, “sapphire”, chalcedony”, “emerald”, “sardonyx”, “sardius”, “chrysolite”, “beryl”, “topaz”, “chrysoprasus”, “jacinth”, “amethyst”, and “pearls”! Before this consummated and final expression of the Kingdom of God is manifest… shockingly, God is seeking worthy stones for its building. When God chooses men for its building, His hopes and intentions are good (for more on this topic see “God in the Ways of Man” & “The Purpose & Intent for Salvation”). Yes, He makes them into what they need to be (gold, silver, and precious stones). He creates them into the essence of what they need to remain in (“But he that shall endure unto the end, the same shall be saved” -Matt. 24:13, Mark 13:13). Nevertheless, according to His own wisdom and pleasure, the vessels which He chooses He tries… He wants to see if they will endure the flames. It is written, “The fining pot is for silver, and the furnace for gold: but the LORD trieth the hearts” (Prov. 17:3). For a closer study to discover how and why God genuinely “wants to see” the grade of men’s faith through observing the works they do in response to God-sent trials and fires, see Prov. 21:2, Neh. 9:8, Gen. 22:1-12, 26:3-5, Ex. 15:25, 16:4, Deut. 7:22, 8:2, 13:3, 2 Chron. 33:31, 1 Pet. 1:7, Jas. 2:20-26; see also “Abraham’s Exemplification” & “The Goodness of God Leadeth Thee to Repentance”. What is so noteworthy about God’s furnace of fires and trials, my reader? This furnace of trial, as is noted in these various chapters and sections, is an eternally consequential experience. In the process of trial these people, blood-bought and transformed into new men which are “comparable to fine gold” (Lam. 4:2), shockingly, are able to deny their blood-bought privileges and powers, and thus, they are able to walk in the deplorable and vile “old man” which they were freed from (Eph. 4:17-24, Col. 3:5-17, Rom. 13:11-14). When this happens, God laments, “How is the gold become dim! How is the most fine gold changed” (Lam. 4:2)! At such a time as this, alien and unholy metals have mixed with the gold. Like a wrestling man body-locks another man, invading metals mix into and defile the gold of God! Alas! These golden stones, God’s choice, select, and redeemed persons, are defiled by their unholy, alien, and unacceptable fleshly bodies – therefore the flesh is putting the Spirit to death instead of the Spirit putting the flesh to death. It is a resurrection reversal, a degeneration of the regeneration – where those who were once washed, go wallowing in the old-mire, and those who were once healthy, slurp up the old-pools of poison which were oncedelete vomited out (2 Pet. 2:18-22)! Oh my reader, how terrible! Now God is looking on with astonishment like heathen men did before watch on – only now the heavenly citizens become earthly, right before their eyes! God observes it with painful amazement because, new things are passed away, and behold, all things are become old (2 Cor. 5:17, Rev. 3:1)! Those redeemed persons who were lifted on high, they fell from a great height (Rev. 2:4-5, Col. 3:1-10)! They dwell in darkness when once, a great Light (Eph. 5:14)! You see, my reader, carnality has overpowered spirituality (1 Cor. 3:1-4, Rom. 7:23)! As God watches on to see, alas, His glorious House defiled (1 Cor. 3:16-18), He only has one response: The Lord baptizes every stone with a smelting, purifying, refining, and destroying fire (Matt. 3:11, 1 Cor. 3:13-15)! What does this mean? It means, my reader, God has built for Himself a Holy Temple, and when His people disobey and transgress the purposes for which they were chosen, changed, and built together with Himself, He will cast them into a furnace of angry fires. Heretofore let the reader understand, both the operation and potential end of these God-sent fires, for they are both purifying and destroying. The fire was and is a purification process. According to scripture, “the gold, and the silver, the brass, and the iron, the tin, and the lead”, were, very specifically: “every thing that may abide the fire” (Num. 31:21-24). To “abide the fire” each object survived the fire. Understandably, these objects were chosen because of their durability and imperishable quality amidst the flames of fire. After all, when gold and silver, and the like, are put into a furnace of fire, they are melted and separated one from another, but they are not reduced from the essence of what they are. By the essence of what they are, when made to “go through the fire” for lawful purification (Num. 31:21-24), or in another case, a furnace of fire for refinement, they out-last and abide the destroying flames! But, this cannot be said of objects like “wood, hay, stubble” and “earth” (1 Cor. 3:12, 2 Tim. 2:20). By way of summary and by way of introduction to the New Testament typology of salvific fires, let us understand its confining parameters set by the inspired writers themselves, noted in the following paragraphs. The builders of the Temple are preachers (1 Cor. 3:5-10). The objects which are destined to undergo the fires of trial are “Christians”. The builders by their preaching do positively or negatively affect pre-existing stones which were already built into the Temple of God, or in another circumstance, they make positive or negative additions to the Temple of God by building-in formerly nonexistent objects into the Temple of God. Concerning the already existent stones in the Temple of God, their preaching affects them positively in that, by preaching, the stones are washed and polished into greater glories (2 Cor. 3:18), and in so doing they perfect the Image of the whole Temple (Eph. 4:11-13). Also, concerning the already existent stones in the Temple of God, preaching affects them negatively in two different potential grades: (1) they tarnish, smudge, and dim the glory and holiness of the stones to whom they preach to, or, (2) the defiling affect of their preaching reaches a fatal degree, meaning that, tragically, the image of glory and holiness the stone once had is utterly lost and defiled to a damning grade (the gold, silver, or precious stones are thus defiled, mixed, and overcome with wood, hay, stubble, and earth). At this time, according to the rules of the House, the very existence of every defiled stone is threatened with DESTROYING fires (“him shall God DESTROY” – 1 Cor. 3:17). Let the reader take note, the preaching of these preachers which is of a positive affect upon the stones (which is by interpretation, washing, polishing, and perfecting them), this is God’s wisdom, and the preaching of these preachers which is of a negative affect (which is by interpretation, defiling and degrading them), this is worldy-wise preaching. The stones which will totally perish in the fires are those which are, by essence, existing in the damnable grade (wood, hay, stubble, and earth), and thus when God, according to His warning, “taketh” (or destroyeth) “the wise” stones in what they think is wisdom, and they, remaining in a state which they refuse to change from, namely worldly wisdom, perish in the fires (1 Cor. 3:18-20). My reader, let us consider this scenario with a closer look. A true man of God is capable of preaching worldly-wise preaching to a non-damnable degree, and this indeed happens if ever he preaches anything err from the truth, but he is still a man of God because the worldly-wisdom is not fatally violent in its effect but minor, therefore those to whom he preaches to are not adversely affected to a damnable degree. However, a true man of God is capable of preaching worldly-wise preaching to a damnable degree, and this indeed happens if, personally speaking, he himself has become backslidden and overcome by worldly wisdom to a damnable degree, therefore naturally, that which he ingests he feeds others… and they all perish together (2 Pet. 2:18-22, 1 Tim. 4:16, Matt. 15:14, Rom. 6:16)! Of course, at such a time, the man is no longer considered a man of God (Rev. 3:1), but he was… and if he repents and believes again he can become a man of God again (Gal. 2:11-21, 4:19, 6:1, Rom. 11:23). My reader, because the man of God himself is a defiled stone within the Temple of God, those he preaches to become like him (this is an unavoidable spiritual Law, see Matt. 15:14, Lk. 6:39, 1 Tim. 4:16, Jer. 6:10, 23:17-18, 21-22, Matt. 23:16, 24). Let the reader take note of this truth: the builders who fatally defile others are defiled stones themselves, and to the whole lot of their evil grade, God warns, “If any man defile the Temple of God, him shall God DESTROY” (1 Cor. 3:17)! The Master of the House has determined that these stones are DESTROYED, how? By FIRE. If the stones can be recovered from the state in which they presently exist – a defiled state – so that the holy and glorious Image of Christ is revived again, in such a case, behold, these men were saved “so as by fire” (1 Cor. 3:15). If such men are revived, it is not without the fires but by the fires. That which was poured out upon them for destruction, for some it turned to salvation! Yes, in this way, the FIRE is both destroying and saving! For those who do not change from their ways, and so, faint into apostasy in the midst of the “furnace of affliction” (Isa. 48:10), they will be destroyed by the fires in which they were immersed. Think of it, my reader, if the Spirit of God departs from men because of their unrelenting apostasy, then they themselves become, in entirety, wood, hay, stubble, and earth, objects which are, in their entirety, perishable in the fire – they are objects which are, fearfully, without the Spirit of God and reprobated (Heb. 6:6, 12:17, 2 Cor. 13:5, Jude 19, 1 Jn. 2:24, 1 Cor. 9:27). You see my reader, “the FIRE shall try every man’s work of what sort it is” (1 Cor. 3:13), which means by interpretation, the fire will try every stone of the Temple of God. “If any man’s work shall be burned”, meaning that which the preacher has labored to build by his preaching is burned, the preacher-builder “shall suffer loss”, yes… because the work that he built was of wood, hay, stubble, and earth (it was defiling and degrading), but if, in the process of the trying fire, he himself is not perishing in the fires, this means that he himself is not, in entirety, wood, hay, stubble, or earth, therefore his preaching was not defiling others to a damnable degree – thus the Spirit of God has not departed from him. This means that the man is still clean and holy, a vessel which is meet or a stone which is fit, yea, for the very Temple of God itself, even though he is not sinlessly perfect he is perfectly accepted (Php. 3:10-16) - this is because whatever defilement he did by worldly-wise preaching was of the non-damnable kind, therefore even though he suffered loss, he did not lose all those things which he built! If he did, my reader, know this… the man would lose himself! If all those to whom he preaches perish, he is perishing – this is a spiritual Law remember? If this was the case, as stated before, the man would be a defiled stone and he himself would perish in the fires. In which case, the man would not be saved by but destroyed in the fires. With a more doctrinal focus, let the reader understand: The infection of worldly-wise preaching which hinders, besets, and defiles the people of God to a non-damnable degree, results in the gold being tarnished, smudged, and dimmed, yes… but the glory and holiness of the object is recoverable without smelting fires. The object can simply be washed and polished, and the tarnish removed, thus will its glorious and holy shine be renewed. But if the infection of worldly-wise preaching (wood, hay, stubble, and earth) does reach the point of damnation, this is when the filthiness of the preaching has reached the flesh and spirit of the hearers (2 Cor. 7:1). This means that the object is conformed to instead of transformed from the world (Rom. 12:1-3). The object now exists as a strange distortion of the saving Image which did once shine (Rom. 8:29, Gal. 4:19). This means that the man was, in body, soul, and spirit, all-HOLY (1 Thess. 5:23-24, Rom. 8:13, Gal. 5:24), but, alas, he that was holy is now unholy (2 Cor. 7:1, Heb. 12:14, 1 Thess. 4:1-8). When the man was, by nature and deed, correctly representing and properly conformed to the Image of Christ, now he is, merely, by nature only (Eph. 5:6-14), alive in the Person of Christ – the life in which he lives is but a flickering and sickly flame (Isa. 42:3, Matt. 12:20) which is ready to be put out (Heb. 12:13-14, Jas. 5:7-9). This means that the governing force of righteousness which once ruled over the whole man (Rom. 5:21, 6:11-23), is compromised. This means that the government of grace and salvation within the man is in jeopardy. This governing force of righteousness which comes from salvation is called, scripturally, “the Law of the Spirit of Life in Christ Jesus” (Rom. 8:2-4), and when this is legally interrupted it is by an opposing government, “the Law of sin and death” (Rom. 7:23, Rom. 8:2, Rev. 3:2). Therefore, now, the force which brought life, grace, salvation, and righteousness within the regenerated man is wrestled down, overcome, and suffocating for very life by an opposing force, the old man (Eph. 4:22, 24, Col. 3:9-10, Rom. 6:6, and for more details see “Put on Christ – The Gospel of Regeneration” (chapter 18, section 4)). Therefore, how do you un-mix the gold from unholy ore? FIRE. How do you sever the deadly body-lock that carnality has on spirituality? FIRE. These proud men need to be humbled again! They need to rediscover the insufficiency, vanity, and finite essence of what worldly wisdom is (see 1 Cor. 1-2, 3:17-23, 4:8-21). If, in the immersion of fires, they watch their labor and livelihood burn before their eyes… such men will reconsider life! If they have been laboring and living for what God calls death, and then, behold - they watch it die! - perhaps they will turn back to the Life that will never die! “We went through FIRE”, David said (Ps. 66:12), and afterward they understood the reason: “Before I was afflicted I went astray: but now have I kept Thy word” (Psalm 119:67), and again, “It is good for me to have been afflicted; that I might learn Thy statutes” (Psalm 119:71). In confirmation to this, God said, “I have chosen thee in the furnace of affliction” (Isa. 48:10)! Yes, David’s confession is good! One that ought to be made by all backslidden men. Such men are put to the worst when they transgress because God loves them! He chastens them, and therewith He causes them to understand, “the way of transgressors is hard” (Prov. 13:15). They suffer under God’s beating which is, by providence, a God-ordained tribulation, and in such a “fiery trial” God seeks to burn and destroy those things which displease Him (1 Pet. 4:12). We need to reckon with this reality, dear saints. Are you God’s recognizable son or daughter: a recognizable Temple-stone, recognizable citizen of Heaven’s Country, or a recognizable Bride? Walk out your nature and you will be. This is to say, in other words, walk in your salvation (for more details see “The NT Gospel Call to Worthiness” (chapter 22, see all sections)). Therefore, my reader, listen to God. If you distort the Lord’s Image by misrepresenting Him, in so doing you defile the Name of God by which you are called, and in so doing you defile the Temple of God in which you are a part (1 Cor. 3:17). At such a time God will “try YOU” so that (1 Pet. 4:12), “if God permit” (Heb. 6:3) or “peradventure” (2 Tim. 2:25-26), after the burning you might be better. Scripture states, “After that [you] have suffered a while”, that is, in the fiery furnace, then God willing by its burning you will be made “perfect”, thus God does "stablish, strengthen, [and] settle” the positional standing of your stone in the Temple of God (1 Pet. 5:10). At such a time as this, when you are suffering under the burning rebukes of God (Rev. 3:19), my reader, do as your Counselor suggests. The Lord Jesus Christ said, “I counsel thee to buy of me gold tried in the fire, that thou mayest be rich” (Rev. 3:18)! Yes, these are eternal riches. This means that those things which you are laboring and living for are everlasting and undying (see “Legalism: Law & Grace”)! What a glory! What riches! Yes, it is possible to be “rich in good works” (1 Tim. 6:18) and “rich toward God” (Lk. 12:21)! My reader, do you know the secret? “GREAT is the MYSTERY of godliness” (1 Tim. 3:16), scripture declares! And speaking to those who don’t know its mystery, Christ said, “how great is that darkness” (Matt. 6:19-24)! As a typological parallel to this lamentation, it was written again, “how is the gold become dim! How is the most fine gold changed” (Lam. 4:2)! My reader, a House-wide outbreak of the carnality-plague (wood, hay, stubble, and earth) merits a House-wide immersion [baptism] into fire (Josh. 7:24-26, Lev. 14:33-48, Lev. 26:27-39, 1 Sam. 4:10-11, Ps. 78:60, Jer. 4:8-10, 19-22, 7:8-16, 10:18-22, 11:14-17, 12:7-13, 14:8-12, 15:1, 26:6-9, 52:13-22, 1 Kings 9:7-8, Ps. 74:6-8, Isa. 64:11, Lam. 2:7, 4:1, Ezek. 7:20-22, 9:5-7, 24:21, Mic. 3:12, Matt. 23:38, 24:1-2, Lk. 13:35, Rev. 2:5, 16, 23, 3:2-5, 11-12, 18). God Almighty has a contorted face, filled with disdain (Jer. 14:8-9), because of what has become of His people: because the condition they are presently in is deplorable, unacceptable, insulting, and defiling. At such a circumstance, consider the three branches of biblical typology addressed below. a. The House of God, which should be lined entirely with gold, silver, and precious stones, is defiled with miscellaneous interruptions from what is required because, scattered about the walls, alas, some fool has put in stones of mud (earth). With what contortion of face would God, the Master-Builder, look on…disdaining the presence of these unacceptable stones? With what good reason would God, the Inhabitant of this House, be grievously dismayed…seeing that the stones of His House were so hatefully arrayed? To enlarge upon this, my reader, imagine another scenario. b. The Gates of Heaven: Imagine earthly men pounding on Heaven’s Gates, demanding entrance into the Heavenly Land. With what contortion of face would the Lord of that Land disdain the nation from whence these people came? With what furious denouncement would He reject their person? With what arguments would He make known to them how unacceptable they are (by their race, skin color, and language, and by their familial and nationalistic alliances which are at enmity against the Lord of Heaven – Rom. 8:1-13)? With what contortion of face does a foreigner listen to the garbled tongue of another nation… even so, these men are strangers to God – and look! – He is contorted and astonished in displeasure at their boldness before His Gates. What unfounded and unacceptable boldness!? Even so, my reader, consider another scenario. 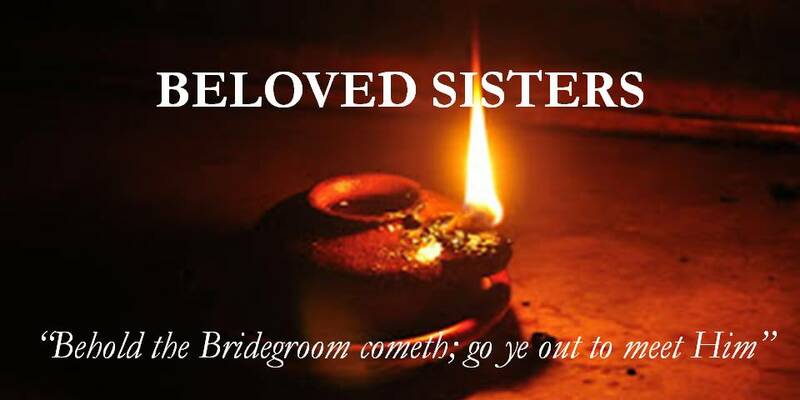 c. The Bride of Christ: Imagine a royal wedding ceremony in the act, the presentation just as it was planned (Eph. 5:26-27), even though – shockingly – the Bride’s garment is blotted by a ruinous blemish! The doors flew open and the Bride appeared… but the wedding party stood ashamed, the Bridegroom was feeling utterly disdained, and the audience, taken in involuntary gasps, rumbles with murmurs and whispers of horror and amazement. Why? Because the Bride’s attire is vile, unprepared, and unready for so worthy a presentation! With what unfounded boldness does the Bride debase her Bridegroom as she continues to walk the isle!? When the gold is mixed with unholy pieces of matter to where, finally, the object of “choice gold” becomes unacceptable to God; this means that the mixture was heavy enough to distort the beauty of its image. Therefore, because the stone’s appearance is no longer choice, precious, and elect, its presence in the Temple is offensive to God. The stone is a glaring and unacceptable “eye sore” to the Temple of God! Its presence is so distinctly noticeable that it distracts men from the glory of all that is good, pure, and right about the House of God. Visitors of the Temple are more appalled at the presence of this unacceptable stone, and they, preoccupied therewith, fail to enjoy the glory and holiness of the entire House. This one object is such a foul intrusion into so holy an occasion that it renders the whole Temple unholy and unenjoyable! Like an unacceptable blemish on the attire of a Bride would stall the whole ceremony from its beginning, this unacceptable stone stands to insult the Al-dignity of God! To God, it is not only unacceptable, it is defiling… it insults the essence of what is holy, righteous, pure, and worthy to exist in God’s immediate presence, therefore it must be cleansed. Do you understand, my reader? Not all backsliders do savingly respond to the fires. The fire burns them, but the Image of Christ is not restored! The holiness that is required by God to be a part of His House is not regained! Their saintly standing is lost! Such stones are therefore, deplorable objects, intruding and unacceptable stones in the House of God! It is utterly recognizable how they don’t belong in the House of God! Even so, likewise, this is like an earthly man pounding on the Heaven’s Gates, demanding entrance, and Heaven’s Porters, looking back, wonder how this man is demented! With contorted faces of holy-disgust, they say, Heaven is for heaven-born men, men who walk according to the rule and Law of a heavenly citizen, but you are an earth-born earthly-man! You, oh man, are a stranger to this Holy Land! You are a foreigner to God and a native to fallen man. Don’t you know that behind these Gates, “there shall in no wise enter into it any thing that defileth, neither whatsoever worketh abomination, or maketh a lie: but they which are written in the Lamb’s book of life” (Rev. 21:27). 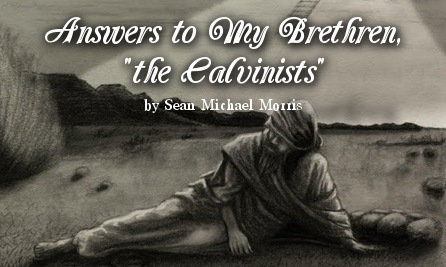 Upon hearing this, the earthly man ceased from pounding upon the Gates… “he was speechless” (Matt. 22:12). The man stood still and wondered, utterly aloof. He was dumbfounded and unknowledgeable of the truth. What truth? Imagine it, my reader, the “eye sore” of an earthly man dressed in rags, appearing in Heaven’s courtroom of golden-glass, the place where only white-robed heavenly men gather for the honor and glory of God! A synonymous situation which is equally abominated by God is, when earthly-stones which are heaven-rejects, are used for Heaven’s House. This is an appalling “eye sore” of degrading magnitude, making the whole House feel like a mere “common place”. Even so, likewise, a Bride, when presented to the Bridegroom, must be of a peculiar attire worthy for the occasion. If a woman walks the isle with unacceptable attire, this is not only ceremony-unworthy, but depending upon the severity of her blemish it is ceremony-ending (Eph. 5:26-27). Any honorable and dignified wedding would be stalled, rather than have the Bride presented with blemish-ridden garments. Imagine a wedding’s most glorious scene - the Bride walking the isle – but her white and glamorous dress is covered with a horrid and ruinous blemish! What devastating harm would such blemish wreak!? Those of us who deign to call ourselves, “The Bride of Christ”, need to understand the quality and beauty that makes her the desire of God’s eyes. When the greatest known beauty of invisible creation is defiled, the beauty is out of mind. When an object of the most sacred value is scarred, the preciousness of the object is not cherished for the stature in which it exists… it becomes an emblem of great loss. The beauty, value, and preciousness of the object, now marred, stands as an object of lamentation instead of adoration, and all the preparations which were made for its beautification turn into additional pain. Therefore, with the Bride, the object of God’s eyes: The bright white dress in which the woman did shine, and the glittering jewelry which should have dazzled the mind, they all became unnoticeable and blackened out of mind because, shockingly, the woman’s glorious dress is blackened with smears of filthy mud (earth). No matter all the other bridal preparations, no matter all her adornment and her decorations, if she is spotted and blemished, the crowded audience will erupt with involuntary gasps of horror at the moment of her appearance! And yet, my reader, consider the impudence of the Bride when and if, after she had heard the audience erupt in disdain, she continued to walk the isle! She, being blind to sense or shame, steps forward, only for the audience to agonize the appalling presentation! Only for the Bridegroom to frown upon the unacceptable scene! My reader, the Father will not have such a wedding for God the Son! The Bride of Christ must be presented to her Bridegroom accordingly: “not having spot, or wrinkle, or any such thing; but that it should be holy and without blemish” (Eph. 5:27)! Yes, even if God must stall (2 Pet. 3:4-9) the wedding ceremony until “His wife hath made herself ready” (Rev. 19:7), He will do so. He will do all that is necessary to prevent such an abominable, unholy, unworthy, and undignified presentation of the Bride! Therefore this purging, my reader, is one of destruction and redemption, and those who savingly respond to the fires are saved by them. Here, God burns Israel to save her. The fires of God are simultaneously intended to save and intended to annihilate, but not all will savingly respond to the fires (Amos 4:11, Jer. 6:28-30), whose heat increases by phases of intensity, until a near annihilation transpires with a remnant plucked out (Isa. 48:9). The purging that transpires here is, a corporate purging. The burning which transpires is, a corporate burning. This means that the whole House is baptized in fire. This is what Christ meant when He said, “Behold, your House is left unto you desolate” (Matt. 23:38). He baptized all of Israel with the fires of judgment, namely, the 70 AD destruction of Israel. “He shall baptize you with the Holy Ghost, and with FIRE”, John the Baptist said (Matt. 3:11). But what is this fire? Continue reading and you will see what John said the fire does! John said, “He shall baptize you with the Holy Ghost, and with FIRE: Whose fan is in His hand, and He will thoroughly purge His floor, and gather His wheat into the garner; but He will burn up the chaff with unquenchable FIRE” (Matt. 3:11-12, Isa. 41:21). 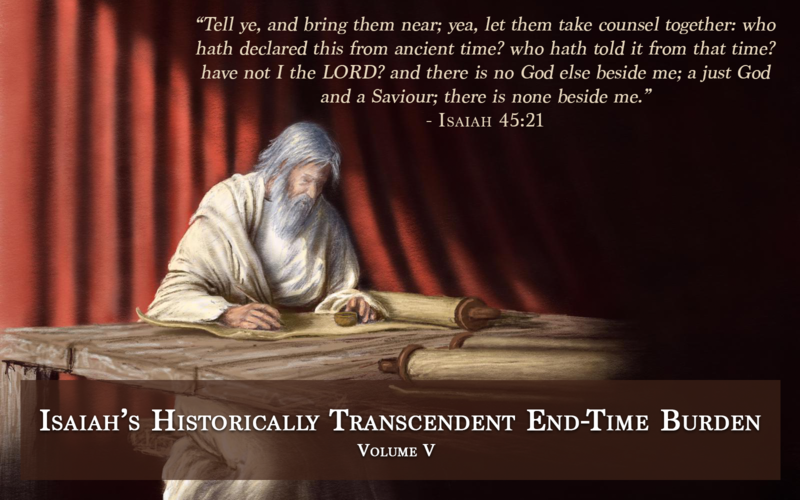 At such a time as this, times which were a typologically parallel to the 70 AD judgment-fires, God said again, “I will turn My hand upon thee”, and for what? Here it is written again that He will turn His hand to purge away from the whole House of Israel everything that offends, defiles, and is unclean! Blessed be the Name of the Lord Jesus Christ that not all perished! That a remnant was left alive! A remnant who, in the midst of the burning flames did weep, cry aloud, repent, and vow! Yes, this is what Zechariah meant in 13:9, “they shall call on My Name, and I will hear them!” My reader, this is God’s way (Amos 5:15, Zeph. 2:3, Jer. 36:3, 7, Ezek. 12:3). The remnant that was left alive did finally understand God’s heart, that He was “broken with their whorish heart” which “departed” from Him, and by this understanding Israel did finally “lothe themselves for the evils which they have committed in all their abominations” (Ezek. 6:8-10). God’s terrifying judgment which does in this way begin at the House of God (1 Pet. 4:17-18), we are told in scripture that it will eventually turn upon the whole world! I mean, my reader, a worldwide baptism of FIRE! Concerning this worldwide judgment of fire, the psalmist spoke, “Thou puttest away all the wicked from the earth like dross: therefore I love Thy testimonies” (Ps. 119:119)! 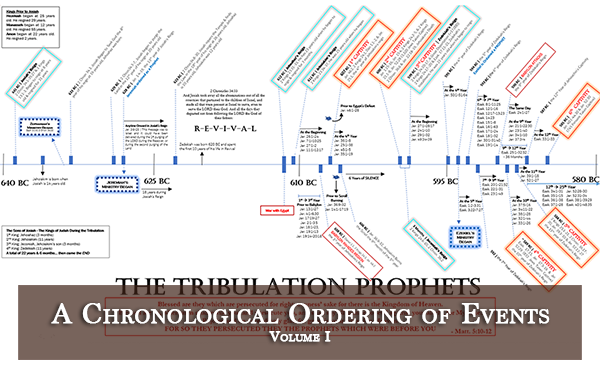 Yes, my reader, End Time Judgment is a type of what is coming right now, to the Church. In a very real way God is going to baptize the world with destroying and smelting fires – destroying the evil and regenerating the redeemable (2 Thess. 1:6-10, 2 Pet. 3:3-14). Are you doing the will of God that abides forever, or are you doing the will of man which perishes (1 Jn. 2:15-17)? The fires are sent to try the metals to see if they are perishable or imperishable… until only that which is imperishable and pure remains. Heaven is everlasting, yes, and the things of heaven are everlasting. The Kingdom of Heaven is an everlasting Kingdom, yes, and those who walk according to the rule of Heaven are everlasting men (Col. 3:1-3, Php. 3:17-21). These men think, speak, walk, and live God’s will, yes, and He that doeth the will of God lives forever! Everything else is finite and perishing, built upon a foundation that will crumble with its shaking (Matt. 7:26-27, Heb. 12:26-29). The men who walk in the manners of life which exist forever, these men live forever – and by God-sent FIRES these men are sifted from among the multitude and REVEALED! How does a man’s faith reward to him “praise and honour and glory at the appearing of Jesus Christ” (1 Pet. 1:7)? The man’s faith was evidenced, “being filled with the fruits of righteousness, which are by Jesus Christ, unto the glory and praise of God” (Php. 1:11). This yield of Spirit-empowered fruits was of “patient continuance in well doing”, therefore the man’s life was lived “for glory and honour and immortality, eternal life” (Rom. 2:7, 10). Living by and walking in the Spirit – who is Eternal Life (John 3:15, 5:11-12) – is living, moving, thinking, and doing those things which will last forever. The flesh and its works, is a perishing way of life, literally. Recognizing this, that all such men are doomed to die, we are commanded to “love not the world neither the things that are in the world…for all that is in the world… is not of the Father…and the world passeth away, and the lust thereof: but he that doeth the will of God abideth for ever” (1 Jn. 2:15-17). The world and its wisdom in the essence of its existence, is perishing, but he that does the will of God – the essence of everlasting life – lives forever. The world, its wisdom, ideologies, appeal, and hope appear to be “good” and “pleasant to the eyes”, as something “to be desired to make one wise” (Gen. 3:6), but the shelter it provides will all come crashing down! A well-built, fully furnished, architecturally sharp house would appear to be a good shelter, as someone might say, but when it is tested by the storms of judgment, “the rain descended, and the floods came, and the winds blew, and beat upon that house; and it FELL: and great was the FALL of it”! Why? The house was not “founded upon a rock” (Matt. 7:24-27)! My reader, the foundation was wrong! Even so, judgments are ready to come upon the world, and before long, my reader, its wisdom, ideologies, appeal, and hope will lose their grip upon the human mind. When the world itself shakes like a leaf, when the mountains are removed into the sea, when the stars come crashing down to earth, the sky is rolled back like a scroll, when the world itself totters to and fro like a drunken man, then the world will understand – “this life” is passing away, and he that does the will of God lives forever. The Almighty is going to shake everything that can be shaken (Heb. 12:25-28), and my reader, will you remain unshaken? This shaking is a testing, a trying, and its purpose is for “the removing of those things that are shaken, as things that are made, that those things which cannot be shaken may remain” (Heb. 12:27). My reader, are you one who, through God’s eternal Spirit, have been established upon the unshakable foundation of Christ as your life, ambition, goal, and ideology, as your wisdom, plan, desire, and hope? 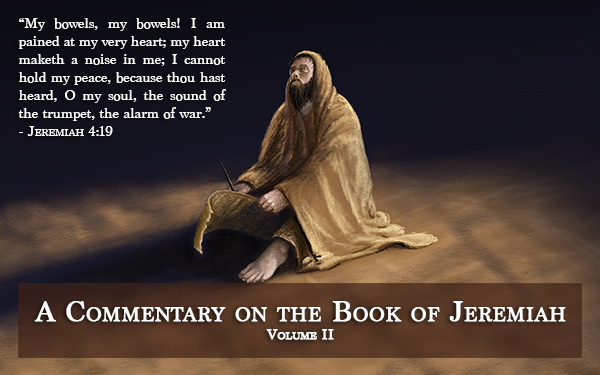 God will try all men, my reader, to see if we will be shaken from our claim to and connection with Christ – the unshakable, ever-enduring, everlasting Man. For this reason Christ bids us, “I counsel thee to buy of me gold tried in the fire, that thou mayest be rich” (Rev. 3:18). Saints, God has, by the second-birth, given us imperishable wealth – the indwelling Spirit of God who is our “new man” – but this sacred union exists because of saving faith, and if saving faith is lost…men will perish in the fires which, for others, did only purify. It is God’s will that, by judgment-fires, “after that ye have suffered a while”, God would “make you perfect, stablish, strengthen, [and] settle you” (1 Pet. 5:10)… but some people are so easily shaken in faith when heated by the Lord’s judgment-fires of tribulation! They are offended to hear the commandment: “Beloved, think it not strange concerning the fiery trial which is to try you, as though some strange thing happened unto you” (1 Pet. 4:12). Purifying Fires: Dan. 12:10, 1 Peter 1:5-7, James 1:2-4 – the fires are kindled with scripturally expressed intentions, therefore when we are feeling heated and melted in the burning fire let us not be amazed. Bound with these burnings are promises of hope and everlasting life. For example, consider the saved man, King David, who certainly went through chastisement, but for him it was remedial. His description of personal and corporate chastisement follows the pattern of phases which Leviticus 26 foretold. As for him and his household, along with those that followed after his leadership, they all responded to the chastisement which was here called, “a proving” whereby God “proved us”, a trial in which they “went through FIRE”, a fire whereby God “tried us as silver is tried”. As you read of David’s experience, my reader, consider this question: will you “abide” the fire (1 Cor. 3:14)? Reckon it, my reader, to us belongs, not only the Baptism of the Spirit, but also the Baptism of Fire! The experience of Job, how terrifying it was (see “The Goodness of God Leadeth Thee to Repentance”)! And yet here, in another branch of typological thought, Job reflects on his situation with good hopes and a happy future. Though he is still engulfed in fiery troubles, Job said, “I shall come forth as gold” (Job 23:10)! Do you know what this means? Job does here acknowledge that the melting was painstaking, and yet it was Masterful. Like a Finer purifies and tries ore while the gold is hidden from the human eye, Job says that God, in the same way, burns him. Yes, God’s eye sees just what He seeks after, and He knows how to draw it out! Job acknowledges how, after the masterful process of melting fires do take their course upon a mass of filthy earth like himself, shockingly, gold comes forth! Praise God! But sadly, not all savingly respond to the fires of God. Some who should be hopeful are hopeless, and while undergoing Divine-chastisements and holy-burnings, alas, they are emboldened to further rebellion and willful denial (see Jer. 18:1-17)! Oh that woeful confession… “There is no hope” (Jer. 18:12)! They should have rather, like the remnant, made the confession of Lamentations 3:1-20. This was good confession of HOPE, yes, even though the remnant was burned inside of an exceedingly hot furnace of fire. After reading Lamentations 3:1-20, consider how the remnant said, “This I recall to my mind, therefore I have HOPE. It is of the LORD’S mercies that we are not consumed, because His compassions fail not…It is good for a man that he bear the yoke in his youth. He sitteth alone and keepeth silence, because he hath born it upon him. He putteth his mouth in the dust; if so be there may be HOPE” (Lam. 3:21-22, 27-29). Those who are weary and hopeless in the fires should rather pray alongside the remnant who said, “Thou hast heard my voice: hide not Thine ear at my breathing, at my cry” (Lam. 3:56), for we should remember that God is not an unrighteous Judge. Therefore “men ought always to pray, and not to faint”, for God will “avenge His own elect which cry day and night unto Him, though He bear long with them” (Lk. 18:1, 7). Concerning the Last Day’s Baptism of Fire, Christ said, “I tell you that He will avenge them speedily. Nevertheless when the Son of Man cometh, shall He find faith on the earth” (Lk. 18:8)? Indeed, my reader, “He doth not afflict willingly nor grieve the children of men” (Lam. 3:33) …but it is “that we might be partakers of His holiness” (Heb. 12:10). “Shall we not much rather be in subjection to the Father of spirits, and live” (Heb. 12:9)? But woe to those who refuse to be subject to God the Father even though He chastises them seven times for their sins (Lev. 26:27-45). When in the furnace of affliction, heated seven times (Lev. 26:28), men ought to yield to God! But, alas, it was written of them, “In vain have I smitten your children; they received no correction: your own sword hath devoured your prophets, like a destroying lion” (Jer. 2:30). “O LORD, are not thine eyes upon the truth? thou hast stricken them, but they have not grieved; thou hast consumed them, but they have refused to receive correction: they have made their faces harder than a rock; they have refused to return” (Jer. 5:3). For all such, the fires are not saving but destroying. Destroying Fires: the fires are kindled with scripturally expressed intentions, but when men were feeling heated and melted in the burning they became unrighteously amazed and hopeless (despising the chastening of the Lord), therefore though an opportunity of salvation was available to them it was beyond their attention. God-sent fires of baptism are also of the destroying kind, the kind which annihilated Sodom and Gomorrah. If God had no reservation to keep Israel alive for the sake of His own Name, they too would have been annihilated. The furnace was kindled and heated for annihilation, but God, by the means of plucking men out, plucked them out of total annihilation! This means that the process of destruction had well-begun, the intention for destruction was real and genuine, but God, wondrous in pity for His own Name’s sake, plucked them out before they burned up! “Holiness becometh Thine House” (ps. 93:5), the psalmist declared, therefore let us reckon this truth! HOLINESS! Let us understand, God will have His House hallowed. God’s chosen people, which are as stones, will be a “peculiar treasure” of a holy and glorious grade, a grade representative of the Lord’s Image (1 Pet. 2:9, Ex. 19:5-6, Deut. 14:2, 26:18, Eph. 2:19), or else, my reader, He will burn, refine, melt, purify, purge, sift, fan, sever, baptize, and those who are imperishable will be thus revived. God will fulfill the word which said, “The glory of this latter House shall be greater than of the former, saith the LORD of hosts: and in this place will I give peace, saith the LORD of hosts” (Hag. 2:9). “Be glad then, ye children of Zion, and rejoice in the LORD your God: for He hath given you the former rain moderately, and He will cause to come down for you the rain, the former rain, and the latter rain in the first month” (Joel 2:23)! “And it shall come to pass, that whosoever shall call on the Name of the LORD shall be delivered: for in Mount Zion and in Jerusalem shall be deliverance, as the LORD hath said, and in the remnant whom the LORD shall call” (Joel 2:32)!